The meme world is probably the most lit part of our social lives today! Every single minute there's a new meme online. Memes are great; they make you laugh, make you feel light and take away all your stress for free! In conclusion, memes are better than people. The latest meme that is doing the rounds on the internet, includes (and ruins) an important childhood memory (but we ain't complaining). Tom cat from the Tom and Jerry cartoons who loved to give Jerry mouse a tough time has been turned into a meme. The "unsettled Tom" meme is going viral on the internet in 2019 after its template cropped up in 2012. 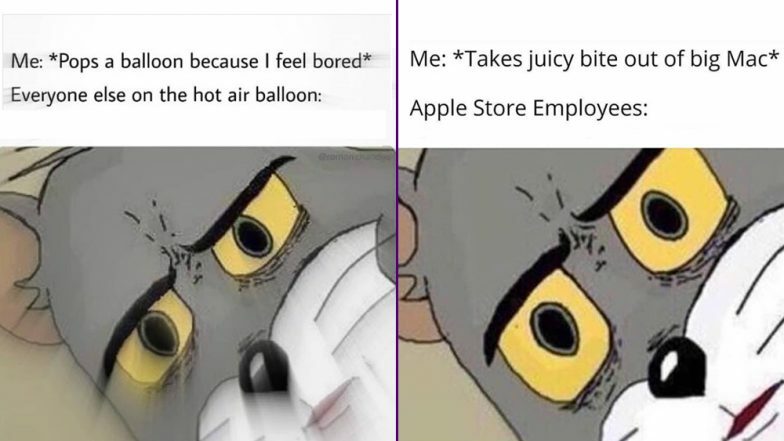 The simple yet funny template includes a phrase that starts perfectly normally only to have a twist at the end and then an image of Tom looking unsettled and shocked; and that makes the whole meme super hilarious. These PUBG Mobile Game Memes Are Funny Yet So Relatable to Every Game Lover! Enough of life now, goodbye! On a more important note, we believe that memes do help us make happier and in this fast-paced world, they act like a little corner of happiness, so keep checking out memes and keep laughing more! What are your favourite memes? Share with us.